Calling all rock fans: get ready to mark your calendars as a trio of legendary rock outfits are headed for Seoul at the start of 2011. It is going to be a British invasion from January to March with Police frontman Sting, guitar “slow hand” Eric Clapton, and metal gods Iron Maiden stepping onto the stage of the nation’s default venue for all high profile concerts, the Olympic Park’s Jamsil Arena in southern Seoul. 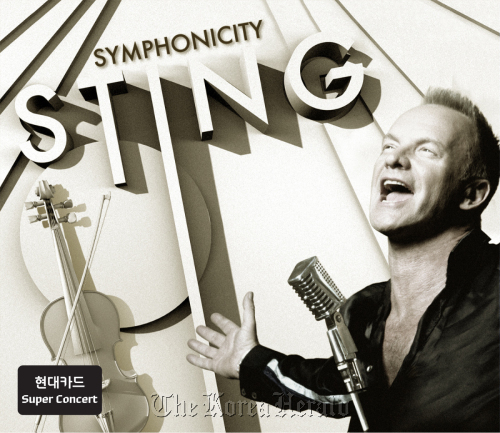 First up will be Sting whose Asian leg of his “Symphonicities” world tour will kick off Jan. 11 before the show heads over the East Sea to Japan. This is the ex-Police frontman’s third show in Korea with his last performance in the capital city held in 2005. The album reinterprets a selection of the 59-year-old Rock ‘n’ Roll Hall of Famer’s popular songs as classical symphonic composition which he performed with the Royal Philharmonic Concert Orchestra. The concert will be supported by the Korean Symphonic Orchestra. Together with band the Police, Sting has sold over 100 million records making him one of the biggest selling rock acts of all time. Also making his third appearance in Korea will be Sting’s compatriot and guitar god Eric Clapton whose last concert in Seoul was in 2007. The album is Clapton’s first studio album in four years following his duet with J.J. Cale in The Road to Escondido and is a collection of new recordings and cover songs. 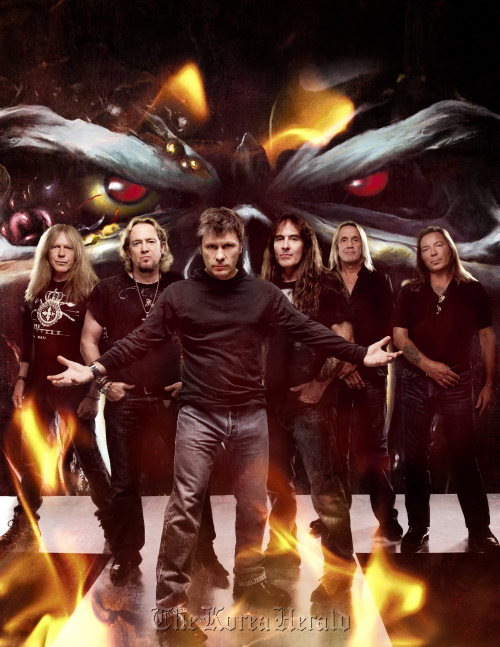 Completing the trifecta of British rock legends will be metal mavens Iron Maiden, performing in Korea for the first time, who will surely bring the house down with their patented blend of hard-hitting sounds on March 10. The show will be a part of the band’s “Final Frontier” world tour which will kick off in Moscow on Feb. 11. The band’s lead vocalist Bruce Dickinson, a licensed airline pilot, will be flying the band on a specially chartered Boeing 757 called Ed Force One owned by the band. Dickinson is also a pilot with Astraeus an airline based in the U.K. The plane’s name, “Ed Force One,” derives from their mummy mascot “Eddie,” and the plane transports the band, 60-member crew and an estimated 12 tons of stage equipment whenever they go on tour. The band has been widely considered to be one of the most influential heavy metal acts, holding more than 2,000 concerts since debuting in 1975. Made up of a trio of guitar leads that create their trademark sound, the band’s music has had hard-rock fans head-banging well into their 40s. “We can’t wait to see the reactions of our Korean fans,” said the band’s leader and bassist Steve Harris. Tickets to all three concerts range from 77,000 won to 230,000 won.